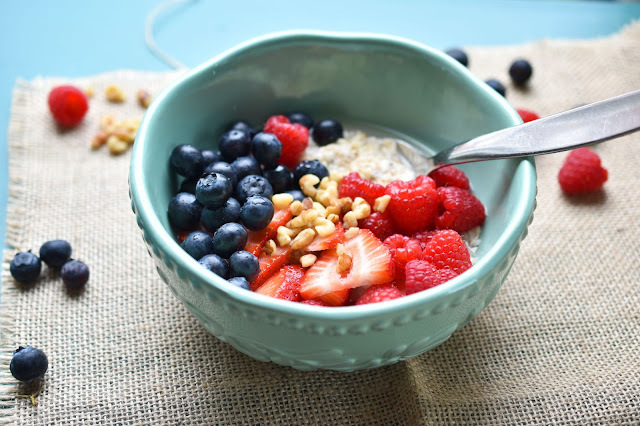 Today's What I Ate Wednesday is full up with plump, juicy berries! I love late spring, when berries are abundant and less costly. This week I put berries on everything I could think of - like the Qi'a hot cereal, above. I topped my cereal with blueberries, strawberries, raspberries and walnuts. 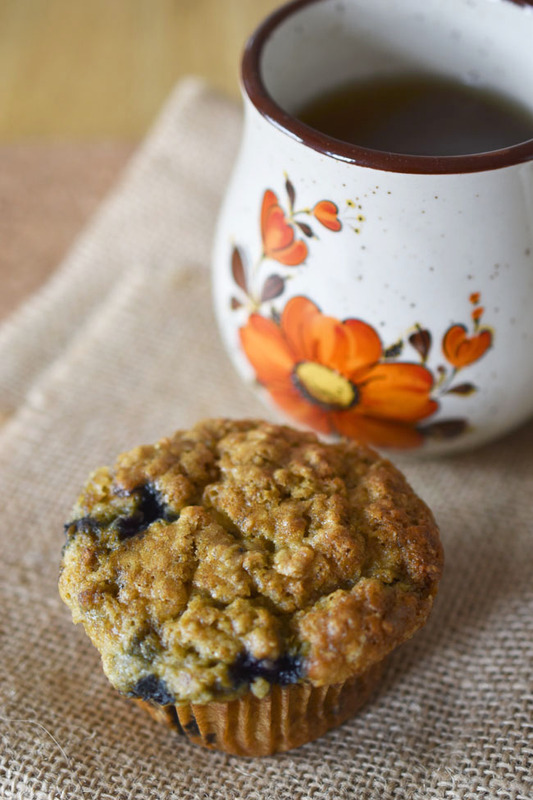 I put fresh blueberries in vegan banana muffins (because home-baked muffins are just right, the whole year round!). 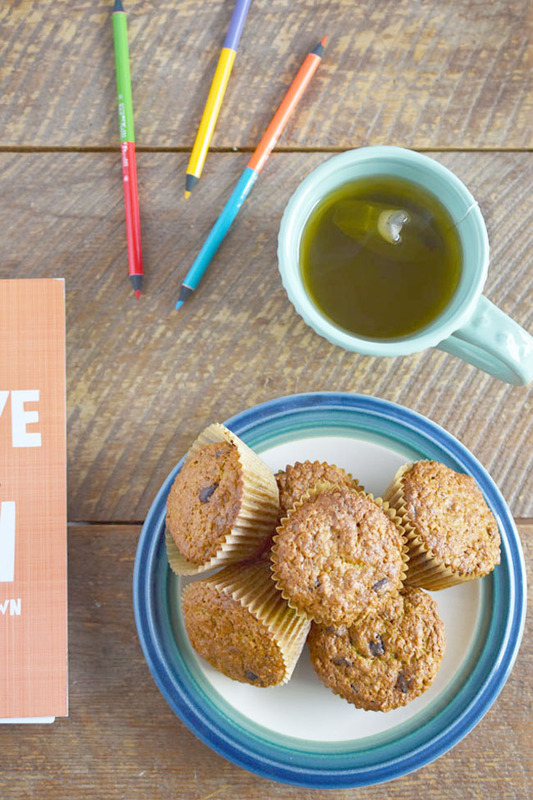 I also made vegan banana muffins with chocolate chips one day, because the kiddos love chocolate chips in their muffins (and I sure don't mind either!). When the weather is warm, you don't want to hang out in the kitchen for too long. 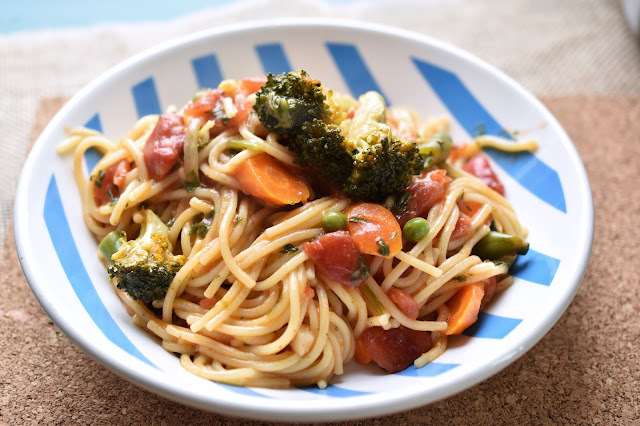 One day for dinner I made this one-pot primavera. It's super easy to make and leaves very little cleanup to be done. Another day for an easy dinner, I made simple baked tofu, steamed cauliflower in a vinaigrette and sauteed kale with minced garlic and olive oil. 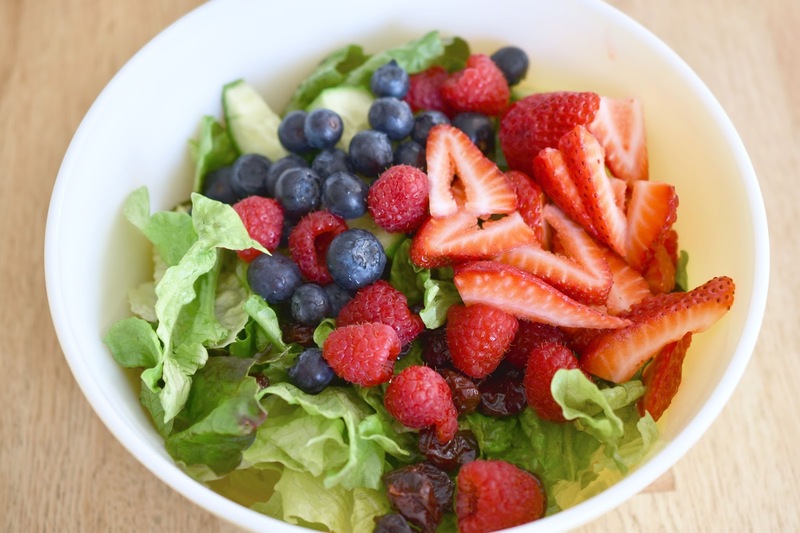 I love to add berries to a green salad to liven it up a bit. 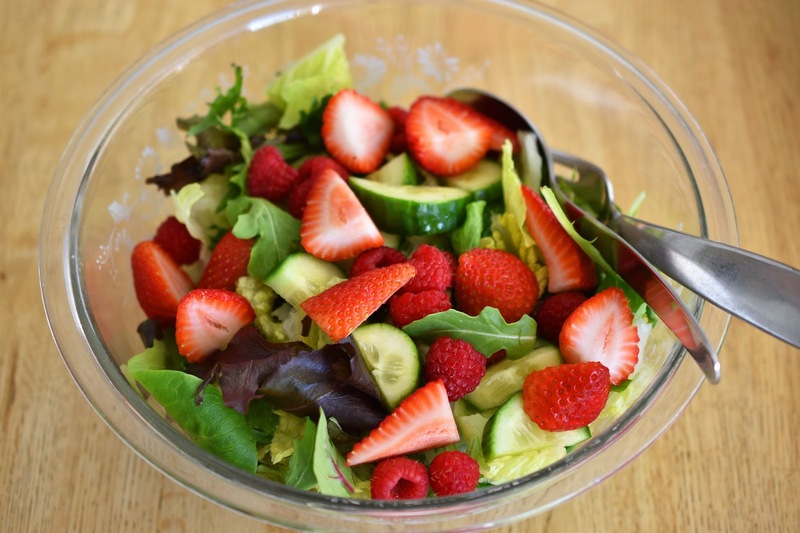 This particular evening, I topped the salad with strawberries and raspberries, in addition to sliced cucumber. Now for a look at a full day of eats. I had a (very) lazy breakfast one day - I took a few of these energy bites out of the freezer and popped them in my mouth. That's it. 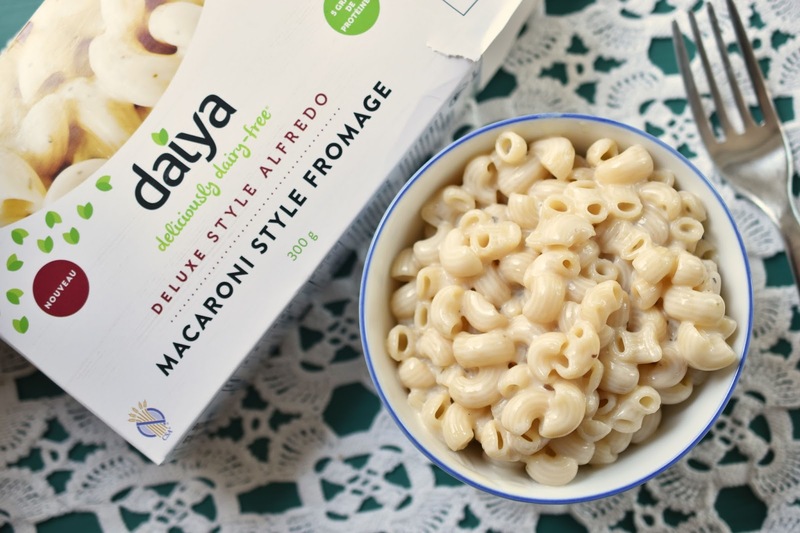 For lunch I decided to try out the boxed vegan alfredo from Daiya. It's a dry pasta with an already-prepared sauce in a foil bag. This Daiya deluxe alfredo style macaroni is pretty good for a quick lunch and it's gluten-free in addition to being vegan. I would like to add some chopped steamed broccoli next time for added taste and nutrition. 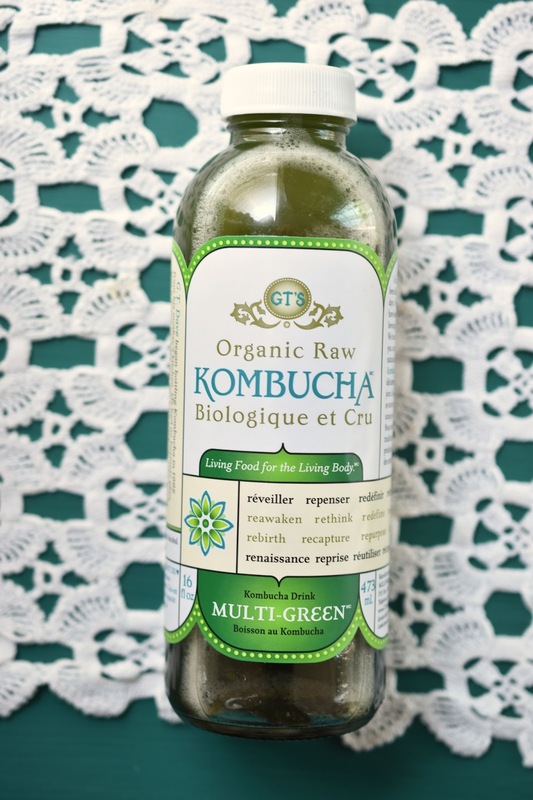 Because I didn't make any salad or greens to go with my lunch, I enjoyed GT's multi-green kombucha. Another berry-topped salad for dinner - this time with the addition of fresh blueberries and dried cranberries. 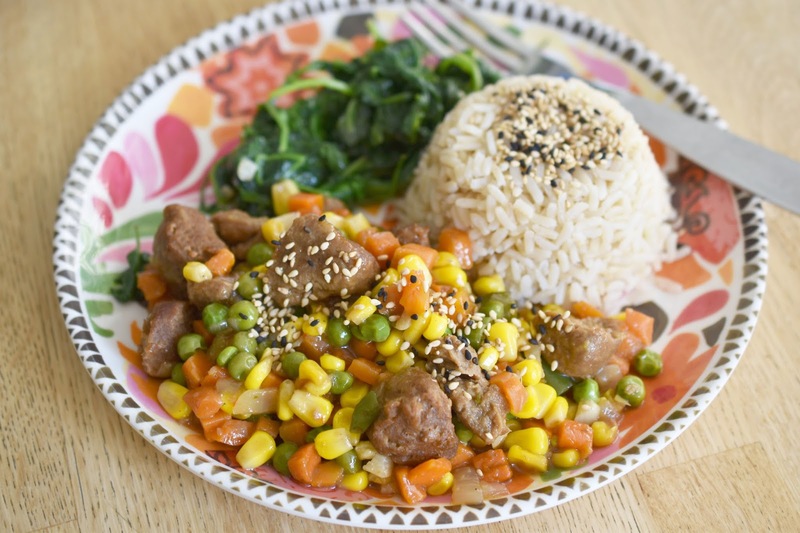 For dinner I made a quick stir-fry using frozen mixed veggies and Gardein beefless tips. I put rice to cook in the rice cooker and sauteed a kale and baby spinach mix in olive oil with garlic. I had some Daiya vegan cheesecake left over from my dad's 89th birthday party. (He had regular cake. I bought this for my own dessert.) I made a quick topping with fresh blueberries, lemon juice, corn starch and a bit of sugar. 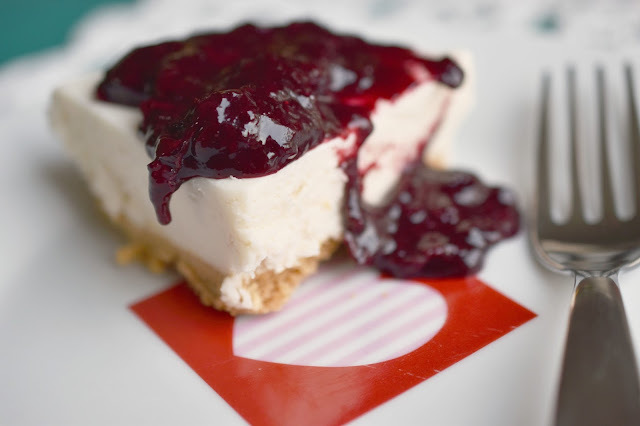 It is incredibly delicious and very much like "real" cheesecake. 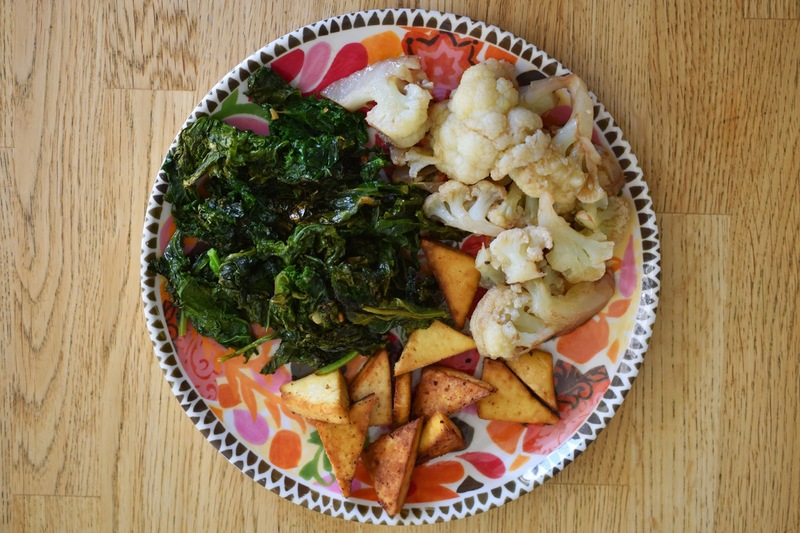 What quick meals do you rely on for warm days? 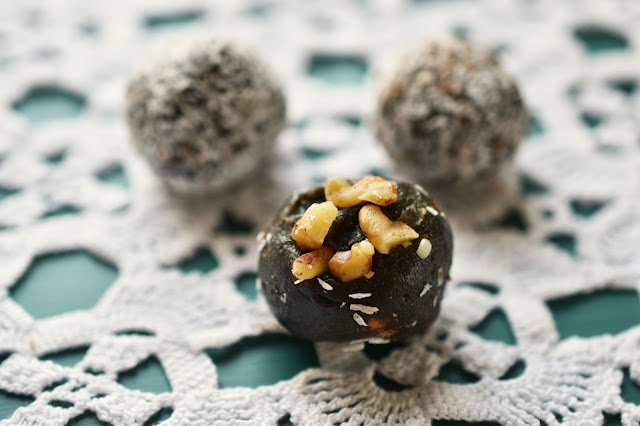 Linking up with What I Ate Wednesday from Peas and Crayons. I've been berry obsessed lately too so I can totally relate :) I've been loving strawberries on kale salad! That sounds incredibly yummy Liz! I'm so glad you're linking up again! Your food always inspires me and makes me hungry! I just made muffins today too and homemade muffins are definitely better! 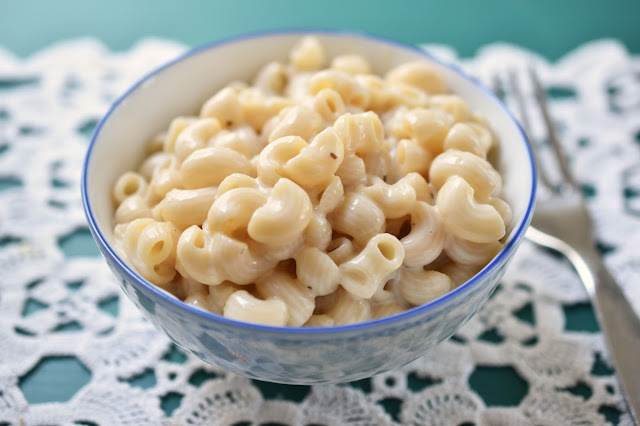 Ooh, I highly recommend adding some frozen peas and field roast sausage to your Daiya mac and cheese! I think I actually eat that at least once a week, haha. That sounds amazing! Thanks for the suggestion! Oh those beautiful salads, the colors are beautiful and the salads are mouthwatering.